When you think of Sony smartphones in the modern area, you mainly think of an angular design with excessively wide bezels around the display that, when compared to the competition, looks old-fashioned in the eyes of many. But the wise will pay more attention to Sony’s Xperia smartphones in the coming year, because there are many indications that substantial changes are coming to the Japanese company and its products. If you use a Sony Xperia smartphone in 2017, people often laugh at you, call you old-fashioned and always ask why you chose a Sony smartphone in the first place. There are so many better smartphones on the market, especially ones with a higher screen-to-body ratio. These arguments are understandable, but you should also look at the hidden advantages. They might be somewhat niche, but Sony smartphones often come with added value that you (often) don’t recognize. I had already gone over some of the advantages in my final report after spending 100 days with the Sony Xperia XZ Premium. The historically chaotic state of Sony Mobile in the last few years is reflected in the confusing naming of Xperia smartphones and the equally confusing variety of products. Z, M and E-series with suffixes like Aqua, Plus, Premium and g transitionally became X, X Performance, XA, L plus Ultra, Premium and Compact until finally becoming the XZ, XZ1, XA1, and the L1 series. The nuances became much clearer in 2017. Anything that bears the XZ in its name represents the best that Sony Mobile can deliver in its Xperia smartphones. The XA is the mid-range series and Sony distinguishes the entry-level series below it with the L.
The Xperia XZ line in particular shows the direction that the Japanese company has in mind with its smartphone division. 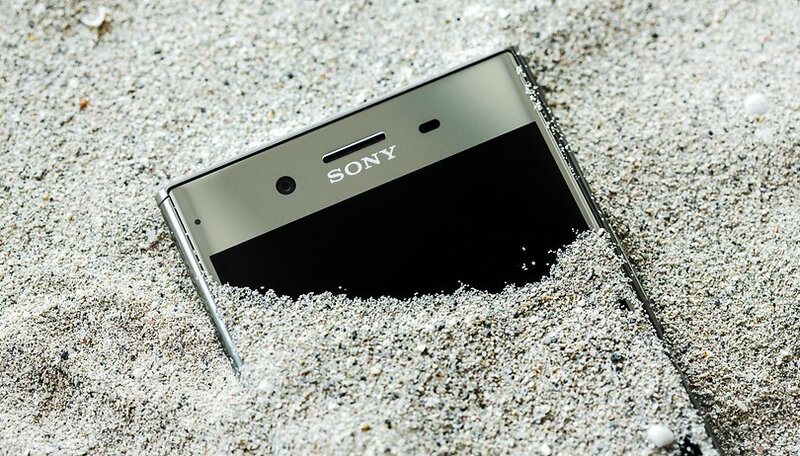 Sony wants to increasingly integrate the technologies of other divisions into its Xperia smartphones. When viewed from the outside, it may seem like a very easy thing to do, but the difficulties of integrating different company areas and their technologies in a smartphone is a challenging undertaking. In any case, the current Xperia XZ Premium sees the launch of a flagship smartphone project that was continued in the XZ1 and, to some extent, the XZ1 Compact as well. In 2017 Sony laid the technical and structural foundation for future Xperia smartphones. The user will hardly notice any added value when considering the components such as the 4K display, Motion Eye camera, and audio, whether it’s wired or wireless. Rather, the Motion Eye camera is the best example of what Sony has become in 2017. Instead of selling the sensor to other smartphone manufacturers and running the risk of them getting more out of it thanks to better software, the Motion Eye camera has been reserved for its own products. The fact that the Sony camera currently cannot quite keep up with a Pixel 2 or even the Galaxy Note 8 is largely due to the software. Speaking of software: Have you noticed that Sony’s Xperia smartphones are among the fastest to get updates while Samsung’s Galaxy S8 and S8+ or even the recently launched LG V30 are still stuck on Android Nougat? Sony Mobile launched the XZ1 and XZ1 Compact with Android 8.0 Oreo out of the box, and the update has already been available for a few weeks on the XZ Premium. Admittedly, it probably hasn’t been implemented in a very optimized manner on the XZ1, because problems during testing resulted in annoying crashes here and there, but like I said, 2017 is a transitional year for Sony Mobile. All these changes in 2017 are hardly relevant for end customers that are looking for a new smartphone. What many end users want is a bigger display, smaller bezels and a smartphone camera that ultimately delivers beautiful pictures in day-to-day situations. There is no doubt, at least in my eyes, that all this and more is on Sony Mobile’s agenda for 2018. You can already see the first signs if you have been following the related rumors concerning Sony smartphones over the past few days. A datasheet has already been spotted that shows that an Xperia smartphone with a 5.7-inch display will be released with a more compact structure than the Sony Xperia XZ Premium. 2018 will be the year Sony Mobile reinvents itself. Sony seems to be working on a new image stabilization feature called “Dynamic Vibration System” for better photos and even better videos. The brand patent application does not mention a word about it, although it is an optical image stabilizer. It would not be like Sony to submit a trademark application just for an optical image stabilizer that is integrated into the lens. Furthermore, I assume that this is a systematic development of the five-axis sensor stabilization controlled by the gyroscope. Since this system achieves a maximum of full HD recordings at 30 frames per second, “dynamic vibration system” could also mean that the upcoming XZ-class Sony Xperia smartphones will support higher resolutions and framerates. We will learn more about it by the time Mobile World Congress 2018 rolls around. Go ahead and call me a fanboy, but I believe that the Sony corporation as a whole definitely has immense potential to operate at the same level as Samsung, Huawei and Apple. What needs to change in Sony’s smartphones to make the PlayStation creator’s devices interesting again? Has Sony's old-school design and wide bezels deterred you from buying a Sony smartphone so far? Let us know what you think in the comments! The biggest issues with Sony's phones (and I've bought some) have always been the OS (+ crapware) and the small battery. That's it. In a shop the other day I compared some Sony bezels to others. Sony bezels aren't bigger really. The reason we think they are is that the corners are square, it is the boxy look that accentuates the bezels. However, the XA definitely has larger than normal top bezel. A shame because that was one of the first phones with tiny side bezels. Years ago I bought the Z1 Compact. I was very happy. I could put it in water years before Samsung. It was small when all others were making huge phones. The bezels were small too, yes they were! It had a glass back where others were plastic or metal. There was augmented reality software too! An almost stock experience. The Z1 compact was a great phone. But today, Sony phones are similar looking or worse. The latest compact phones don't feel good in the hand for their asking price. Their screen to phone ratio is bad. There is little new to entice me back. I use an Honor 7 phone now. It was much cheaper, full of features and different. I am interested to see what they do in 2018, a small phone with a big screen? Please. Why?as it took Sony to realise that the design of there phones as kept loads of consumers away from purchasing there phones,nearly every Sony phone looked identical,instead of improving there supposed to be Premium phone,Samsung have removed advertising there name on there phones now,but will Sony follow the trend or still leave a large bezel at the top of there phones to put there name on,will this design change be to late to save Sony? It seems to me that sony is lost in old ways.They need to move quicker and adopt newer technologies. I love Sony, i own a Playstation 4 and would love too see them succeed in smartphones. They should focus on design, screen, camera and with almost stock software. If they achieve that I'm in. They need to increase the resolution on their screens big time...I was going to buy a Sony Xperia XZ, but it had the same resolution as my old Xperia Z3+...and was pricier than the LG G6, which had a nicer screen, so I went with that in the end..not to mention better camera, etc.